A revolutionary brain scanning technique, PET might prove to be helpful to identify and diagnose people with CTE. It stands for Chronic Traumatic Encephalopathy. This happens mostly to athletes suffering from continuous concussions. PET stands for Positron Emission Tomography. CTE could also be caused due to repetitive head trauma, a scenario often faced by athletes. Previously, there was no possible way to detect the disease. The only method by which it could be diagnosed was during the post-mortem examinations. This meant that family members and other close friends of the patient would know about it only after the death of the patient. This new study has been published in the National Academy of Sciences Online Journal. 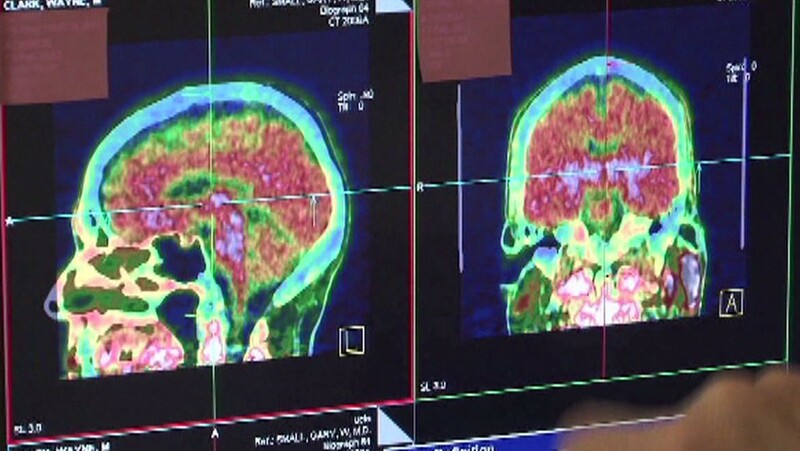 The PET scanning technique will help doctors and researchers to monitor / understand the stages of the brain disease. It might also help to come up with new treatments for CTE. CTE has been similar to Alzheimer disease, in the way that both of them are caused due to abnormal protein deposition on the brain. The Tau protein is found to be accumulated in CTE, which induces symptoms such as mood swings and memory loss. Both of these symptoms are similar to what an Alzheimer’s patient would have. However, CTE is distinct from Alzheimer’s disease. PET helps to detect CTE by detecting these clumps of Tau protein accumulation. Researchers have had the brains of 14 retired professional football players, who have increased risks of acquiring the brain disease. This is primarily due to the nature of their sports. To detect the tau protein through PET scans, FDDNP (a chemical, which is very sensitive to tau protein) is injected in the brain. Researchers have also shown that tau protein is accumulated more in the dorsal midbrain and amygdale. These parts of the brain are needed to regulate pain and other negative emotional experiences. 47% of retired boxers are believed to exhibit symptoms similar to CTE.